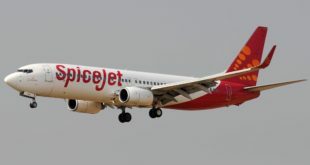 Beleaguered low fare carrier SpiceJet appears to be in the midst of a massive executive churn with many of the airline’s senior management departing voluntarily or being asked to leave. As per reports in The Mint and FirstBiz chief technology officer Virender Pal was summoned by the new chief operating officer, Sanjiv Kapoor, and literally asked to leave on the same day. Chief financial officer Sam Issac has reportedly put in his papers. Vice president human resources, Shalini Verma, has left the airline apparently in a huff for being bypassed on the executive shuffle, head of engineering, Nathan Smith, has quit, and the senior VP commercial, A Raja, is leaving by the month end. Kaneswaran Avili ex AirAsia and Tiger Airways is joining the carrier as chief commercial officer. Jet Airways’ Ashok Gopinath has been recruited to replace Nathan Smith, Shilpa Bhatia will replace A Raja, and Sudeep Chatterjee will be the new vice president of corporate strategy. Sudhakar Kondisetty will fill the shoes of Virender Pal though as senior vice-president of information technology. The CTO position has been abolished. R. Neelakantan has joined as chief financial officer though he has very little aviation experience. SpiceJet, which has has fleet of 57 planes mainly of Boeing 737-800s and 15 Bombardier Q400s, operates about 350 flights daily. The airline is in severe financial stress. After reporting a profit of Rs 50.56 crore in the first quarter of this fiscal, the airline posted losses of Rs 559.49 crore and Rs 172.80 crore in the second and third quarters. Our estimates and industry analysts opine the carrier, which posted a profit of Rs. 103 last fiscal (2012~2013), will post a loss of around Rs. 1,200 crore for this fiscal year, which will equal the combined losses at the airline for the last eight years (2007-2013). SpiceJet has been leading the industry with irrational promotions like three day fare sales offering up to 75% discount on base fares, in a desperate effort to fill seats. Under these circumstances it hard to accept the management’s assertions of the airline returning to profitability in 2015. It appears that SpiceJet has not learnt its lessons. Just as we were concluding this article, a press release from SpiceJet announcing new executives at the airline, was received. It is reproduced as is. Gurgaon, March 4th, 2014: SpiceJet Ltd today announced the appointment of Mr. R. Neelakantan as its Chief Financial Officer (CFO). Mr. Neelakantan served as SpiceJet’s CFO earlier from November 2010 to February 2013, and is returning to this role after serving as the Head of Internal Audit for the Sun Group in the interim period. Mr. Neelakantan established excellent relationships with key stakeholders, and was part of the SpiceJet senior team post the acquisition of the airline by the Sun Group. “I am delighted to welcome Neelakantan back to SpiceJet as we continue to strengthen our management and transform the airline. Neelakantan’s return further boosts the senior leadership team, which had earlier been boosted by the hiring of new Chief Commercial Officer Kaneswaran Avili who will be joining SpiceJet on April 1. Mr Avili will bring deep LCC experience with him, having been part of the founding team of Air Asia where he served for several years, and subsequently Director of Commercial at Tiger Airways, Singapore,” Said Mr Sanjiv Kapoor, Chief Operating Officer (COO), SpiceJet Ltd.
Mr. Neelakantan’s return to SpiceJet is part of a well-thought out succession plan as outgoing CFO Sam Isaac had previously expressed his desire to move on to pursue other opportunities. SpiceJet had earlier announced the appointment of Ms Shilpa Bhatia as Senior VP of Sales and Distribution, replacing Mr V. Raja who is retiring at the end of this month. Ms. Bhatia was also with SpiceJet earlier from August 2009 until May 2011, when she served as Head of Corporate Sales and Sales Strategy. Ms. Bhatia joined SpiceJet two weeks ago from the Sahara Group, where she was Global Head of Sales and Strategy for Sahara’s Quest business unit. SpiceJet further announced that Mr Sudhakar Kondisetty has joined SpiceJet as Senior VP of Information Technology, and has been given the charge of unlocking the full potential from IT to help the company innovate as well as save costs. Mr Kondisetty is a globally experienced IT professional and worked with firms ranging from Cambridge Technology Partners, Ness Technologies, mPhasis, and Aspect Software, and his past experience includes the implementation of Navitaire for two airlines in South East Asia. Mr Kondisetty replaces Mr Virendar Pal, who had also earlier expressed his desire to pursue other opportunities, and is part of the overall succession planning. Also joining SpiceJet on April 1 as VP and Head of Revenue Management is Fares Azeem Kilpady, who joins SpiceJet from Air Asia X, the long-haul arm of Air Asia where he was Head of Revenue and Management and Pricing. Mr Anurag Jain, who was heading Network Planning and Revenue Management, will now take on the role of Senior VP, Network Planning and Strategy Development. “I am delighted at the addition of highly talented and experienced professionals with world class credentials to the SpiceJet management team”, said Mr. Kapoor. 2. Stimulate new travelers and increasing the frequency of existing travelers. Mr Kapoor stated, “These promotions have been launched by an expert team that is well-versed in LCC revenue and capacity management, and after analyzing the current consumer purchasing profiles and behaviors. These highly fenced and targeted are the best practices of all successful low cost airlines in the world. India is no different in terms of how the market reacts to price stimulation. As a whole these campaigns have helped revenue performance and as well helped stimulate the travel industry and wider economy as a whole”.